Karabo Thosago, a cleaner at Planet Fitness in Craighall Park, saved a swimmer from drowning. He joined Breakfast with Martin Bester to talk about the experience. Karabo Thosago, who is a cleaner at Craighall Park's Planet Fitness, has been praised after saving a swimmer from drowning in the Johannesburg gym's pool. 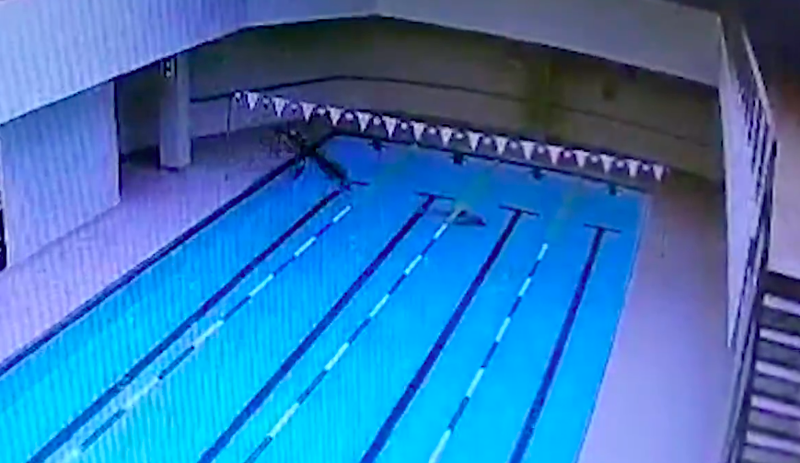 A CCTV video recording shows the swimmer coming to the end of a lap, before suddenly slipping beneath the water. Luckily, Thosago was nearby while moving the pool nets. He dived into the pool and lifted the swimmer's head above water. Almost immediately, Thosago was joined by several other staff members who jumped in and helped to get the man out of the pool. Breakfast with Martin Bester decided to call Thosago to talk about the experience. Thosago told Martin that he enjoys to swim. His biggest dream is to become a diver or lifeguard. "When I was in school, I used to save children from swimming pools," he said. After his good deed, sponsorships came together to help Karabo's dream come true. Planet Fitness is honouring Karabo with a Hero Awards and a Planet Fitness Academy Scholarship. He will also receive a Puma Hamper, USN Hamper, Lifeguard Course voucher and First Aid Course voucher. Karabo is seen as a true hero and he is being praised for saving a life.